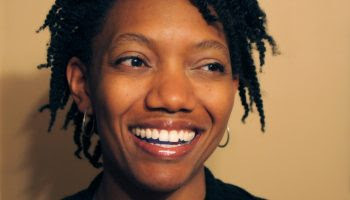 The Sustainable Pittsburgh Board of Directors Tuesday named Joylette Portlock, Ph.D. as the organization’s new Executive Director following a national search. Portlock replaces Sustainable Pittsburgh’s founding executive director, Court Gould, who served in the role for 20 years. Gould accepted a position at The Erie Community Foundation earlier this year. Portlock, who studied biology and anthropology at MIT and completed her Ph.D. in genetics from Stanford University, has most recently served as Associate Director of Science and Research at the Carnegie Museum of Natural History and executive director of Communitopia. Communitopia is a nonprofit based in Pittsburgh that focuses on climate change communication and building healthier communities. Established in 1998, Sustainable Pittsburgh serves as a convener and trusted advisor among diverse sectors. Having a mission to accelerate the adoption of sustainable policies and practices throughout the region, the organization uses a three-pronged approach: formal sustainability performance programs for workplaces and communities, professional development, and collaboration on regional policy initiatives. Examples of SP’s work include CEOs for Sustainability, the first executive council of its kind in the region, comprising CEOs from leading private-sector companies; the Sustainable Pittsburgh Restaurant program, helping to transform Pittsburgh from a “foodie” city to a “sustainable foodie” city; and the Sustainable Pittsburgh Challenge, a 12-month competition that cumulatively has seen 250+ employers save $11 million in energy and enough water to fill Heinz Field 232 feet! A subject matter expert and dynamic communicator, Portlock’s expertise aligns well with Sustainable Pittsburgh’s work to convene communities of decision-makers, its focus on outcomes, and its evolution towards working with consumers to help transform the marketplace. She is a practical leader, bringing people together to create needed, innovative change. Her success stems in part from her ability to take complex matters of urgency (e.g. climate change) and translate them into something more relevant for individuals, empowering them to make well-informed decisions in their daily lives. She served as project lead and star for the Don’t Just Sit There – Do Something! video series, comprising 34 short episodes rooted in science and humor that communicate societal challenges to a broad audience. Through the videos and elsewhere in her work, Portlock successfully and creatively bridges the gaps among scientists, stakeholder organizations, and the public. Portlock has worked on environmental issues at the local, state, and federal level, with a focus on global climate change since 2007. Previously she has worked for The Climate Reality Project, a nonprofit founded to increase public awareness of climate change, where she organized the national community of climate presenters. Later, she served as Western Pennsylvania Outreach Coordinator with PennFuture, a statewide environmental advocacy group where she worked with the organization's members, elected officials, and the public on energy, air, water, mining, and transportation issues. Portlock currently serves on the Allegheny County Board of Health, is co-chair of the Climate Reality Project Pittsburgh and Southwestern PA Chapter and was the founding organizer of the Swissvale Farmers Market, among other roles in the community. She will begin her position at Sustainable Pittsburgh in December 2018.